In the heart of the center you can find a nice new bed and breakfast called “Abeelboom”. The house has been rebuilt after the war and was recently complete renovated. Therefore used materials are from high quality. It has 2 bedrooms, each with his own bathroom. A sunny terrace belongs to one of the rooms. It is also nice for 2 couples or one couple with 2 children to rent both rooms. In that case you can use the terrace together. 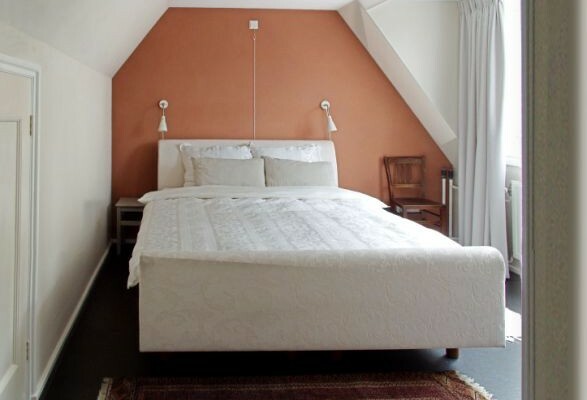 Specially for this bed and breakfast is the serene atmosphere: The house is right opposite the medieval Abbey. You can hear the carillon from the “Long John” many times a day. On the terrace you look into a beautiful garden. 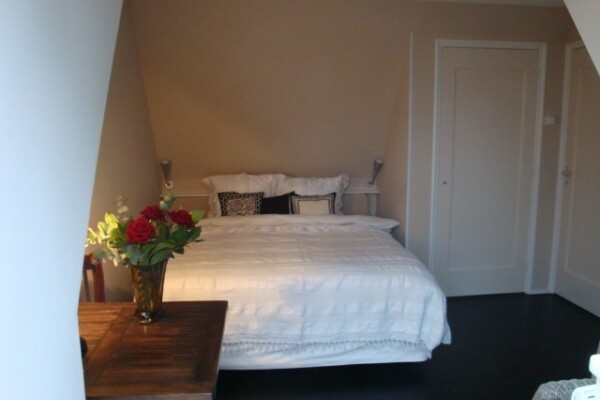 Room “de Berk”,based on 2 persons € 90,- per night, or € 85,- based on 1 person. Price is including breakfast and touristtax. 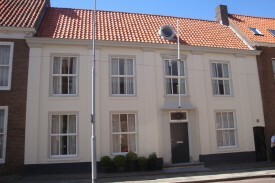 Room “de Ceder”, with a big own terras, € 98,-based on 2 persons, or € 93,- based on 1 person, including breakfast and tourist tax. Bicycles can be stored safely in covered courtyard. Did you stay in Abeelboom? Let us know what you thought about it and help others to make the right choice! * I confirm having stayed in Abeelboom. 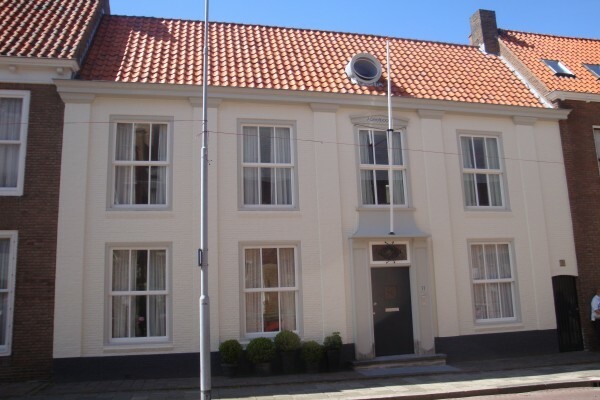 Find other bed & breakfasts in Middelburg or all bed & breakfasts in Zeeland.